We know that to be more competitive, Canada must innovate more — or risk being left behind. With this in mind, Canada 2020 launched Phase 1 of its multi-phased project on innovation in June 2016, with its ‘Being Innovative’ event. Then we gathered key decision Canadian decision-makers to examine how to make Canada a more innovative nation, and a global leader. From there, a path was outlined for Canada 2020’s Innovation Project: a plan for innovation in Canada through research, round table discussions, surveys, measurement and public engagement. It was decided the project would be an inclusive and collaborative effort, guided by Canada 2020. In November, Phase 2 of Canada 2020’s Innovation Project began in earnest with the goal of documenting the findings of the project to date. The release of an interim report with our November conference marks the start of a more public discourse around innovation in Canada, what it means and where our country needs to go. What does innovation mean to you? How do you think we should innovate in Canada? 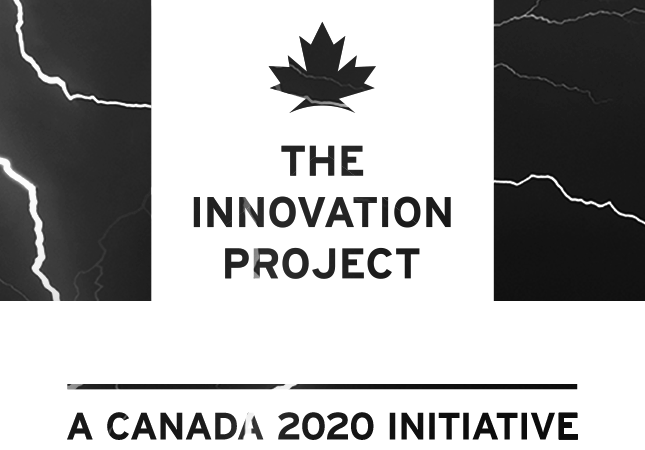 The Innovation Project is led by Canada 2020. Canada 2020 is Canada’s leading, independent think tank working to redefine the role of the federal government for a modern Canada. Founded in 2006, Canada 2020 has spent a decade publishing original research, hosting events, and starting conversations about Canada’s future. ©2016 CANADA 2020. All rights reserved.